Discussion in 'News & Updates' started by TrainSim-Luke, Sep 27, 2018. We're pleased to announce the Ruhr Sieg Nord is coming to Xbox One on October 9th. Deep valleys, tight curves and picturesque vistas will be yours to experience in Ruhr-Sieg Nord, bringing one of Germany’s oldest railways to life. Exellent luke dont you think? 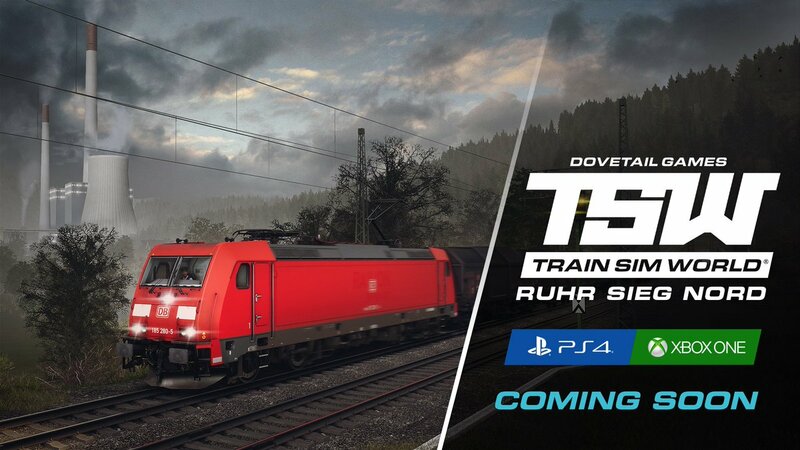 When will there be a announcement on 1st Us route dlc? They do have two routes already for the USA. Ne York and CSX Heavy Haul, although CSX will be only for the PC and not consoles. Yes, they would actually be nice to have. Can you release Briish main lines like the portsmouth line. Or cardiff to portsmouth line. Or Bristol - salisbury. Your a british company and i live in England. Would like to explore the railway in my country. The DLC always come in a certain pattern: USA-UK-Germany. So the next route will be American. I would hope we should get an announcement any day now, because it’s been about two months since RSN released on PC. As do I, but this week maybe slow in terms of TSW because the focus is on TS19 release and they want the spotlight on that. After RSN releases on consoles however, the next TSW announcement which will be the next route and it should come soon. The pattern of announcements of new dlc routes for TSW would point to a November announcement. December release. I suspect it will be a USA route, but who really knows. Could be North Korea rapid transit link. What will the next US route be? When it’s announced, you’ll know. Why for PS4 is already released (there are some PS4 streaming of this new fantastic route on Youtube) from about 5 hours snd we poor XB1 players are still waiting for the DLC in the Microsoft Live Store? Why, why, why? You baaad, LOL! where is the Xbox one version? Just checked the Xbox store. Still not out. The world continues to wait. on Xbox Live Store (directly on our console). But I still waiting for they upload/release it. update: is out right now. good download & gaming!! Its in the Store now. while I understand tsw is a niche game that needs dlc sales to further development I can't really see me spending more on this game until they fix the Base game and add one X support! Totally agree, much as I love it, there's still a lot needs sorting, especially the graphics (trains and fences being drawn in a few feet in front of you all the time), even on the X.